The Federal Government is unveiling a plan on Tuesday that will settle new migrants in regional areas for up to five years after their arrival in Australia. Minister for Population and Cities, Alan Tudge will lay out his plan to bust congestion in Australia's biggest cities- Melbourne and Sydney - in a speech in Melbourne later today. It was first reported in August this year that the Morrison Cabinet was considering a proposal to introduce a mandatory regional settlement plan for some migrants, including skilled and family stream, that was due to go before Malcolm Turnbull’s cabinet before he was deposed. The recent figures of the Department of Home Affairs reveal that a vast majority of newly arrived migrants- 87% are currently settling in Sydney and Melbourne. Under the proposal, new migrants will be asked to settle in regional areas struggling with low population and other capital cities outside the Victorian and NSW capitals. Immigration Minister David Coleman said on Monday that some regions of Australia want more migrants. “The issue of regional distribution is a very important one. It is clearly an area in the system where there’s room for improvement," Mr Coleman told journalists in Melbourne. The logic behind a mandatory five-year settlement in regional areas is said to be that once a migrant has spent this period in an area, they are likely to continue to stay there after having established ties with the community, their employment etc. Australia has a number of visas, including 489 Skilled (Provisional), Regional Sponsored Migration Scheme (187) and Skilled Regional (Permanent) 887 - that are designed to encourage migrants to regional areas. Currently, most states running their own migration programs support visa applications of migrants with the condition that they live and work for two years in those states, for some visas- in designated areas. Cabramatta in western Sydney is a popular suburb for new migrants. However, most new migrants tend to move to either Sydney or Melbourne as soon as they get permanent residency. Under some circumstances, permanent migrants sponsored by some states are allowed to move to other states within the first two years. “It happens when someone holding a 190 permanent visa isn’t able to find work for some time tells the authorities that he can't survive there, the sponsoring state then allows visa holders to move to outside the state,” migration agent Suraj Handa says. He says those on temporary visas have to stay in the regional areas in order to meet the necessary preconditions before they are given permanent residency. Rajinder K Bhullar- an Indian migrant – came to Australia on a 489 Regional (Provisional) sponsored visa in 2014. She was a university lecturer in India and taught computer science. However, she struggled to find a job in the Albury-Wodonga region where she spent three years as a mandatory condition for her permanent residency. “Wherever I applied for a job, they said I didn’t have this qualification or that skill or experience, while my experience and skills were assessed by an Australian authority as part of my visa process. 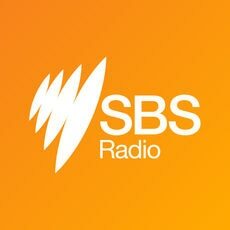 My understanding has been that employers prefer local candidates for such jobs,” Mrs Bhullar tells SBS Punjabi. While she ultimately found shelf stocking work at a supermarket in Albury, her husband who was a telecom engineer in India, found work as an NBN technician after two years. Rajinder Kaur Bhullar and her husband Maninder. The couple moved to Melbourne soon after getting their permanent residency. “I spend almost two hours every day just commuting between home and work. There’s hardly any time for the family, something that was great when we were in Albury. “We would have never moved to Melbourne if I had got a job in my occupation. There [in regional areas] are just not enough opportunities for new migrants,” she says. While there have been calls to cut Australia’s immigration intake, including by former prime minister Tony Abbott, earlier this month when Australia’s population hit 25million-mark, then Citizenship minister Alan Tudge flagged the new measures to direct new migrants to rural and regional areas. “There are some areas feeling the population pressures particularly Melbourne and Sydney, while there are other regions in Australia which are crying out for more people,” Citizenship Minister Alan Tudge told the ABC. "So I think we've got a distribution problem as much as anything else. And of course, we have to make sure that the infrastructure is being built in front of the demand rather than behind it, as we've seen in recent years." However, Labor frontbencher Richard Marles who was formerly the shadow Minister for Immigration rejected the plan when first reported in August. “I’m not actually sure there is the power to put that in place, to actually mandate that they do live there. “So I am a little worried about the particular prescription they are putting in place to bring this about,” he told Sky News. One in seven university students regularly go without food and other necessities because of affordability reasons, according to the Universities Australia Student Finances Survey 2017.